Here is Para Asian Games India’s medal tally for all the sports. The Indian para-athletes contingent flew the country’s flag high and with vigour at the Para Asian Games in Incheon, South Korea. Registering the country’s best ever medal tally, the athletes returned with a record tally of 72 medals. A stellar performance by them saw them register an outstanding performance in all departments to bring back 15 gold, 24 silver, and 33 bronze medals to be placed ninth on the overall medal tally. 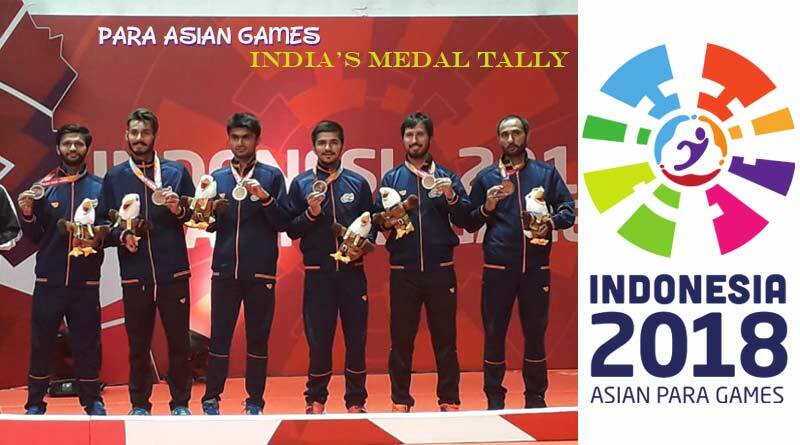 We bring Para Asian Games India’s medal tally with the total tally in each department.